What performance could you get for your wedding? Guests were once again honored by Viktor’s performance on the French Riviera. 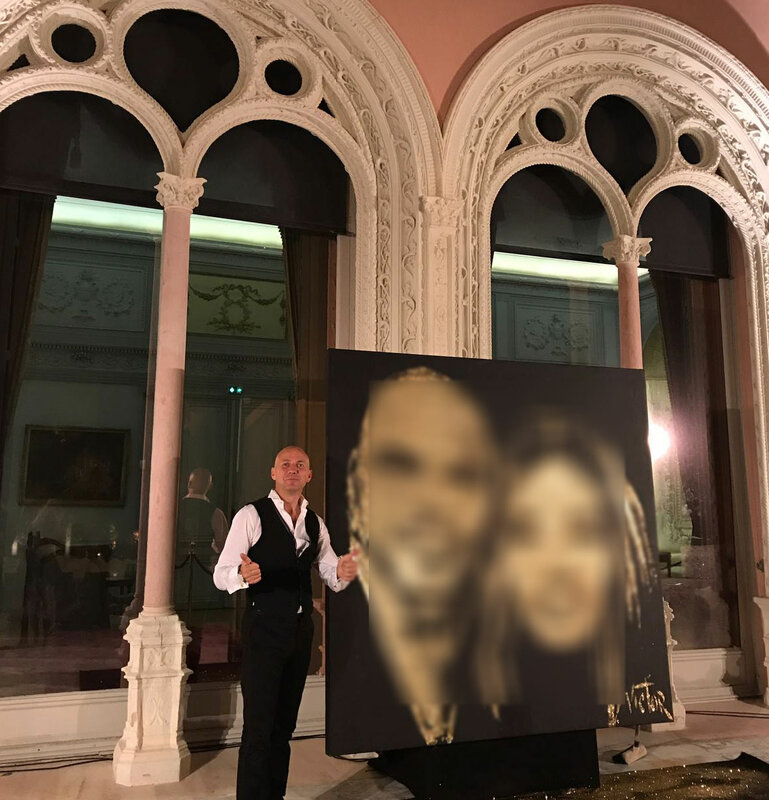 The bride and the groom together on a painting realized using only glue and glitters!